This week it is SUPER exciting for me to welcome my wonderful sister-in-law, Dianne Hartsock, to Strands of Thought. Dianne is offering a giveaway to early birds, see info at the end of the interview. Dianne, of course I know absolutely everything about you, but our readers don’t, can you tell us a little about yourself? I live in the beautiful Willamette Valley of Oregon with my incredibly patient husband, who puts up with the endless hours I spend hunched over the keyboard letting my characters play. Currently, I work as a floral designer in a locally-owned gift shop. Which really is the perfect job for me. When not writing, I can express myself through the rich colors and textures of flowers and foliage. Dianne, you’ve just had a novel released. Can you tell us about it? 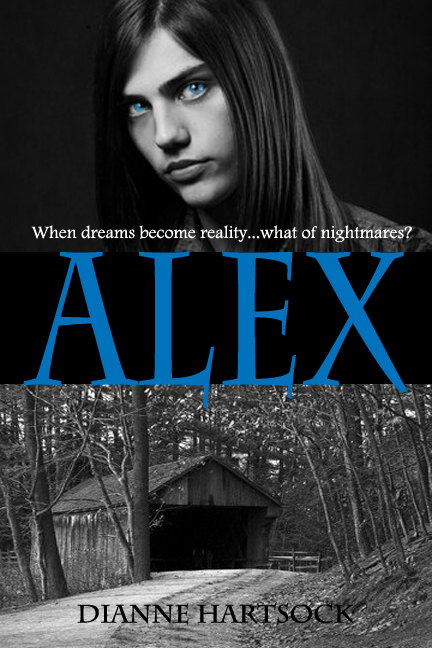 With ALEX, I wanted to take a different approach than the usual serial killer/psychic story. This is a story of a young man able to experience other people’s emotions and sometimes see their thoughts. The story is told from Alex’s unique perspective, his thoughts and emotions and how he deals with his ‘gift’ in a doubting world. Severely abused as a child, Alex is left with horrible scars on his body and even worse scars within his mind. Even though it puts him in danger, he’s compelled to help those who call to him. He’s driven, motivated by his visions to rescue them and uncover the killer. When he can, he helps the police; yet some detectives suspect he’s the cause of the problem, not the solution. Often, Alex finds himself alone and afraid in a world he doesn’t always comprehend. Usually I invite only those involved in children’s publishing to participate in Three Times A Charm. Dianne’s book, ALEX, is billed as an adult book, but I must say it struck me as a great crossover from young adult to adult. 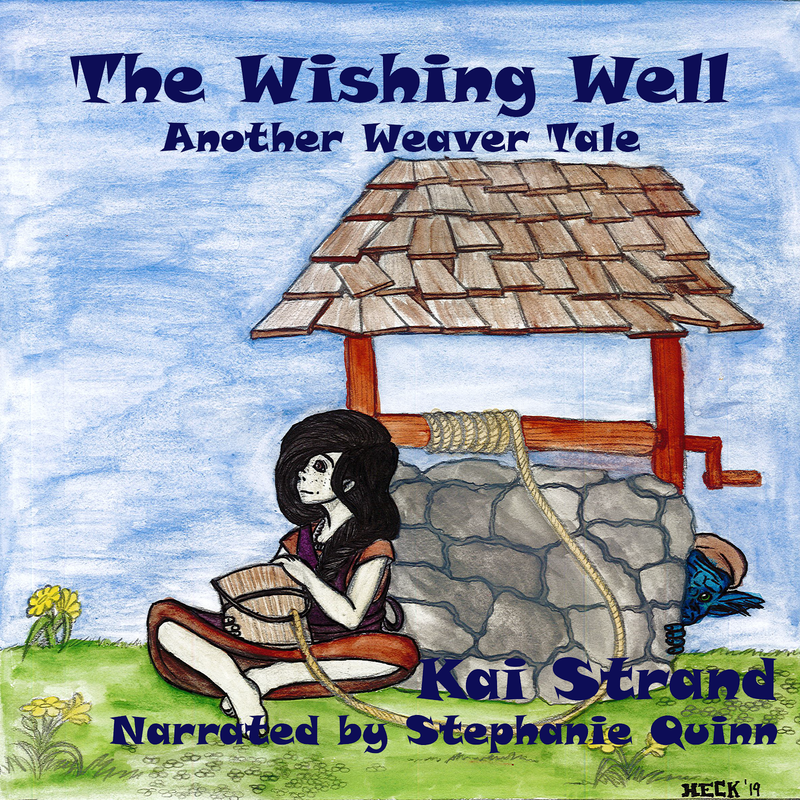 The main character, Alex, is a naïve, emotionally damaged 20 years old. It has left him vulnerable and young for his age, but he comes up against situations that are more adult than what you might find in a standard young adult novel. Older teens (or those of us who still believe we are teens) looking for the next step, who enjoy psychic elements and a very intense story…this one’s for you. Now, for the Threes. Dianne, share with us some of your top 3’s to help us know you a little better. Keep in mind that I don’t just read books, I inhale them! When I find an author I like, I buy every book of theirs I can get my hands on. Here is a list of my favorites, though I enjoyed every book in the series. The Fortress in the Eye of Time by C.J. Cherryh. I fell in love with Tristin by the end of the first chapter. Tristin is a ‘shaping’ created by a wizard, but his beauty and innocence and pure heart makes him my hero. Trojan Gold by Elizabeth Peters. This is book four out of five, where we finally get to see the arrogant, lovely John Smythe be vulnerable. Also, Vicky is too adorable for words. Cause of Death by Patricia Cornwell. Still working my way through the ‘Scarpetta’ series, but in this book we get to see Lucy in a softer light, making her more human to me. Fast paced and gritty (like that word! ), this series is a must for anyone who likes crime/drama. Persistence: Believe in yourself and never give up. It takes time to find the publisher that fits you, but once you do, you’ll find it worth every minute of heartache and struggle you went through. Writer’s voice. When you sit down to write, take a deep breath. Don’t think about how anyone else would write the scene. Forget about all the advice you’ve been given. Simply write the words as they come to you. It’s the best way to find your own unique writer’s voice. Support group: Writing can be lonely without support. Search around until you find a writer’s group you feel at home with. I belong to the Litopia Writer’s Colony, http://www.litopia.com/, which is the friendliest, most supportive group of people you could hope to meet. Their advice and gentle teaching has made me believe in myself as a writer. Tolkien. The deep friendship and commitment and love between Frodo and Sam can still bring tears to my eyes. Ray Bradbury. He will always be the spirit of childhood and hot summer days and adventure to me. Dean Koontz. His creepy and scary stories with their very human heroes are always a pleasure to read. Where can we find more info about you and your book? As a special “all in the family” bonus, Dianne's giving away a pdf copy of Alex! Leave a comment before 11:59pm (pacific time) on 7/13/2011 and share with us who your favorite author is and why. Dianne will randomly choose from those informative comments. Be sure to leave an email address where we can email your ebook. It has been so very much fun having you visit Strands of Thought! Did we think this day would ever come? Um…I know I wondered. It has been so much fun sharing our journeys with each other and now it is a pleasure sharing it with our readers! Thanks Dianne. My favorite author is Danielle Steel. I've been reading her books since I was a teenager. I love the romance and the depth of the characters in her books. She has the power to really reach deep into my emotions, and help me through some tough times of my own by seeing how her characters handle theirs. One of my fave authors that I turn to time and time again is China Mieville, a British cult author of dark weird fantasy. His debut, "KING RAT", is a staple in my library when it comes to juicing up my imagination for new work. The book is pure London grit: dark, foul, seethingly clever, taking the wispy delicacy of an old fairy tale, slashing it up, sewing its mouth shut, and throwing it back in the reader's face like a gory piece of meat (bloodspatter! Yes!!). Anyhoo, I did the cover art for ALEX, and found the blurb to be ever so intriguing. Edgy, dark, but hopeful. I would love to own an ecopy. Please count me in! Great interview! I've been following Dianne's exploits on SSS, and have been really intrigued by ALEX! Just one author? That's hard! Which will I choose? (One of) My favourite author(s) is Jean M. Auel, author of the Earth's Children series. Her descriptive writing really brings the Paleolithic world of mammoths, Neanderthals and Cro-Magnon man to life before my eyes! Do you have any specific reason for choosing a woman as the cover's picture and not a man as indicated by the title, 'Alex'? Andrea, I agree! Danielle Steele is exceptional. Danielle, I've heard of 'King Rat' but it always seemed too dark for me. Absolutely love my cover, by the way! J.C. Martin, I met Jean M. Auel just this year at a writers conference. Lovely woman and she's visited all the places she's written about. Hanzpk, that is a man on the cover! :) Very gothic and vampire-like, I think. I loved reading Alex. It was such a page turner! I'm so lucky to have you and Paula as my aunts. It helps me keep pushing to get my book published. If I have to pick just one author (if I were on a deserted island or something) I would have to pick Ray Bradbury also. The child-like wonder in his stories opens the imagination and makes the whole world magic once again. Hanzpk: Um, it's a young man, actually.